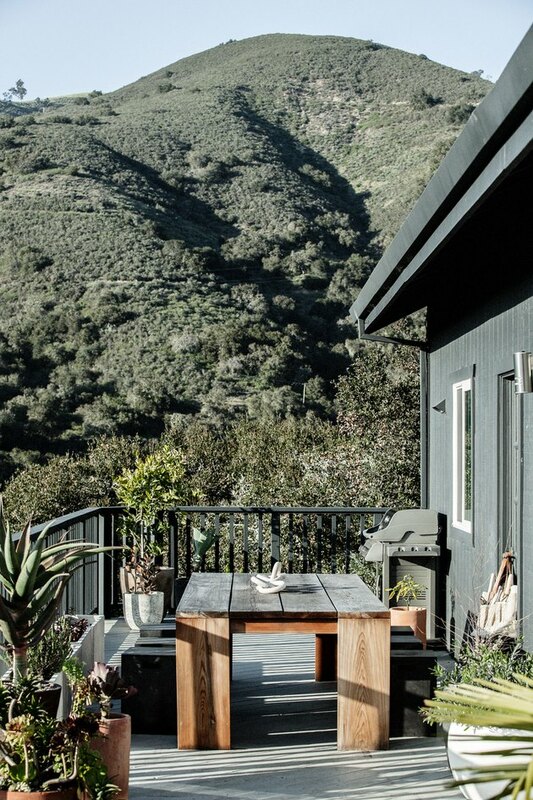 It takes a special point of view to be entrusted with updating a place as iconic as the Esalen Institute in Big Sur. 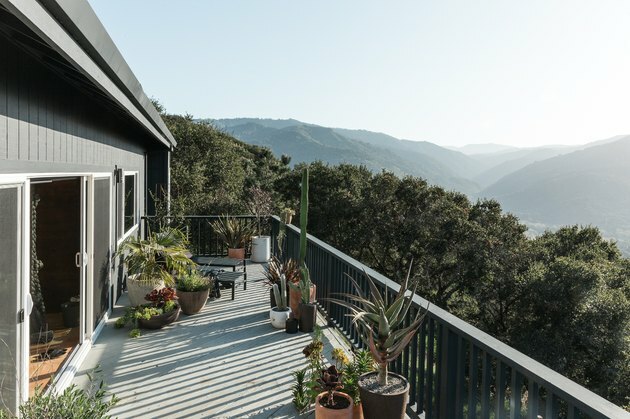 The renowned wellness retreat perched along California's Highway 1 is equal parts New Age, rustic, modern, and eclectic, with a rich, eccentric history. That Esalen chose Carissa Duncan, owner and principal of the integrated design firm SALT + BONES, for the partial redesign should come as no surprise. A native of the Monterey Peninsula, Duncan has a sophisticated urban sensibility one might associate with San Francisco, softened by a love for texture and touches of nature that feel perfectly Central Coast. 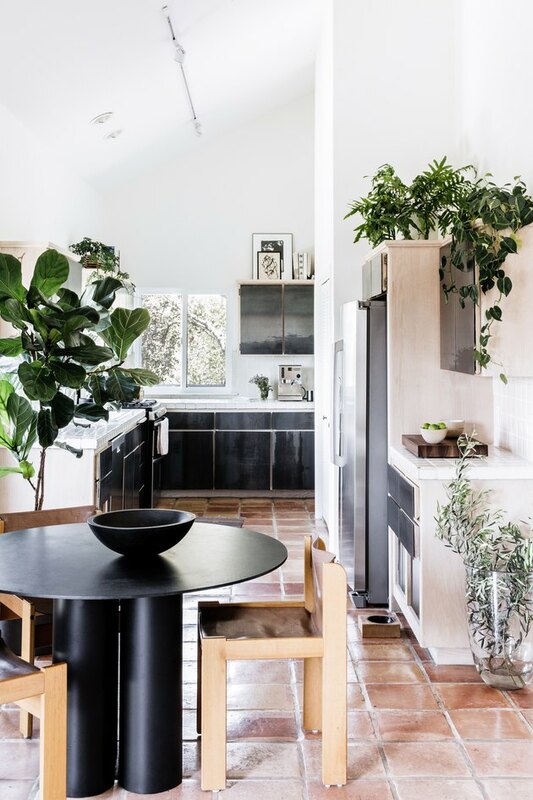 Duncan's design sensibilities are evident throughout the 1970s ranch style house she calls home, high up in the hills of Carmel Valley. 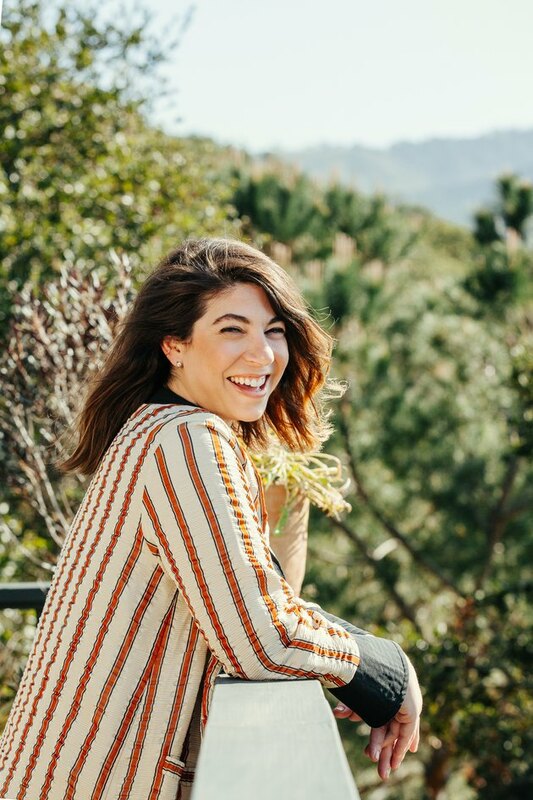 "The connection to the outdoor space is the best feature," she says. Though the home is a rental, Duncan was able to transform it into a personal retreat through savvy design choices, and an array of art, custom furniture, and accessories that, she says, she can always take with her. 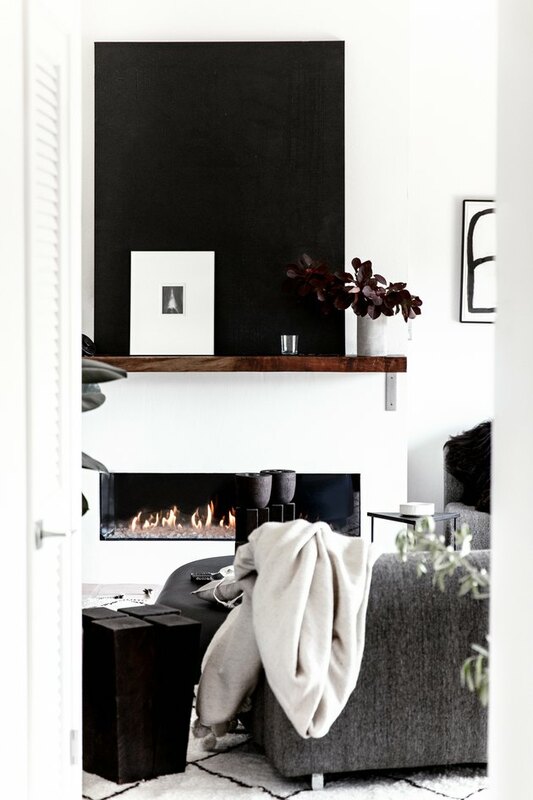 "My home has a clean palette of neutrals and textures, with an emphasis on scale," says Duncan. "And a lot of plants." 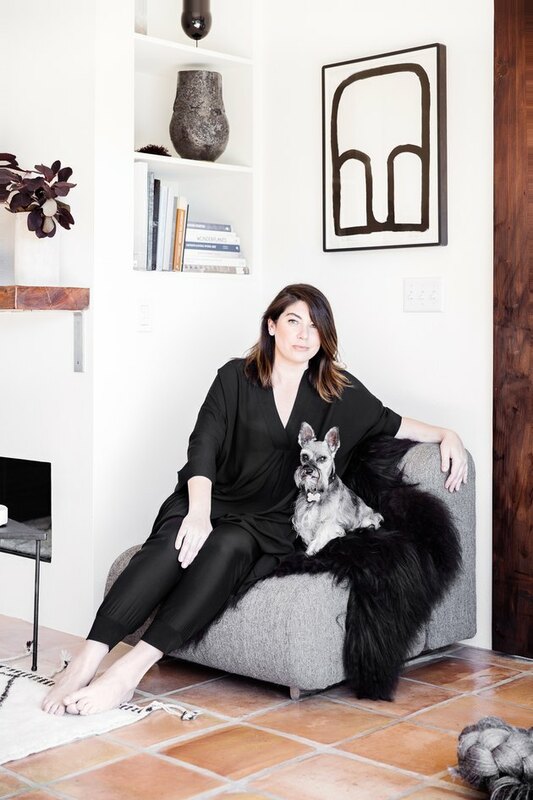 When she moved in — along with her beloved miniature schnauzer, Ginger — Duncan painted the interior and exterior, transforming the dated periwinkle and butter yellow into a deep charcoal and white background that manages to be both edgy and neutral, like so many of her design choices. 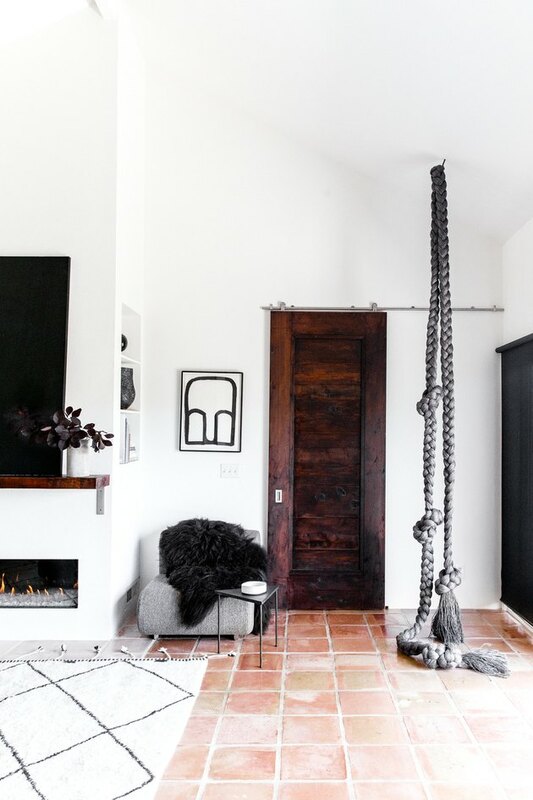 Inside, she has curated an array of bold accessories and varied textures and finishes. 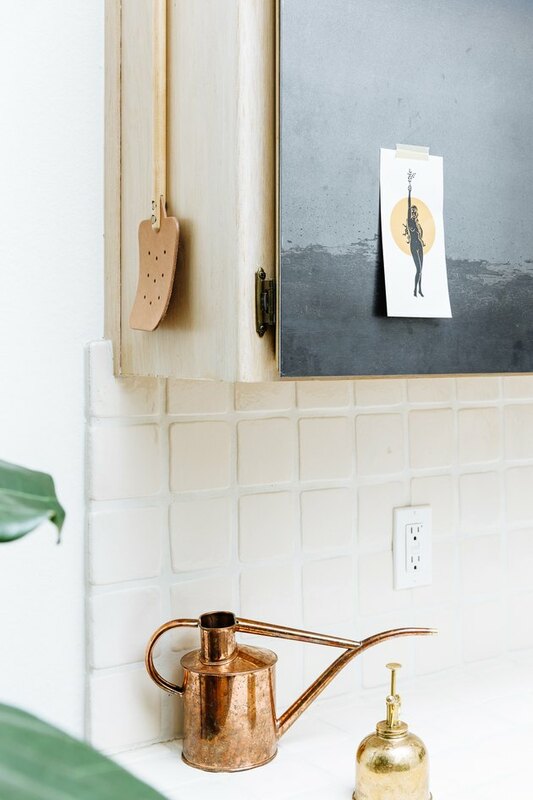 "It's an expression of my personal aesthetic," she says, "textural and minimal, yet lush and warm." Duncan and her father built the outdoor table, inspired by the work of Donald Judd, for the west-facing desk. 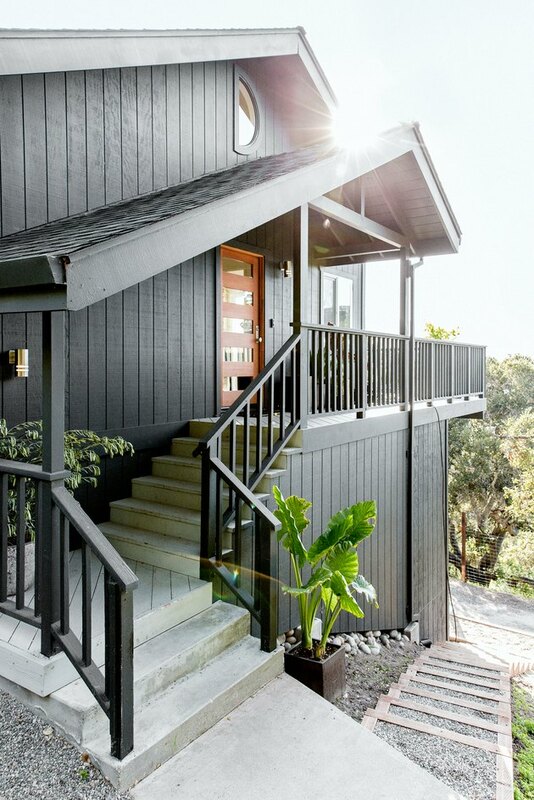 Duncan repainted the home a deep, charcoal black, to help it disappear into the environment around it. The heart of Duncan's home is the open living and dining area. "It's so sculptural and comfortable and textural and its connection to the deck and views are surreal," she says. The Faye Toogood coffee table and mirror by Ben and Aja Blanc are particular favorites. I SPY DIY: If you love that mirror, but the price tag not so much, here's how you can make your own half moon fringed mirror. Inside, the crisp white walls provide the perfect blank canvas. The rope sculpture is by Mexican artist Marcela Díaz. The painting, an estate sale find, is by Juan-Manuel Alonso. The office, with its view of the Carmel Valley, is part of the master suite, all of which sits off the living room, separated by a dark-stained barn door. The master bedroom showcases the rich, textural neutrals that Duncan favors. 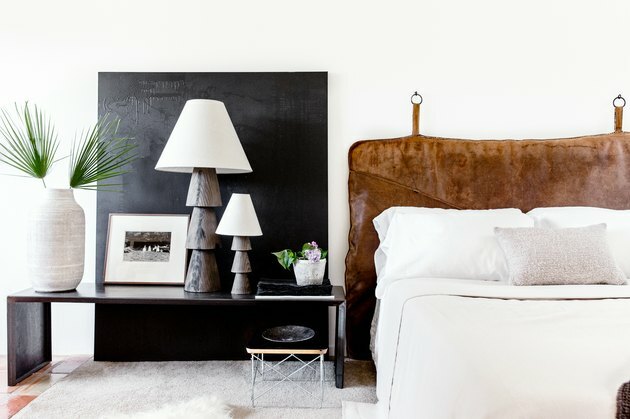 The headboard is a vintage leather gym mat. 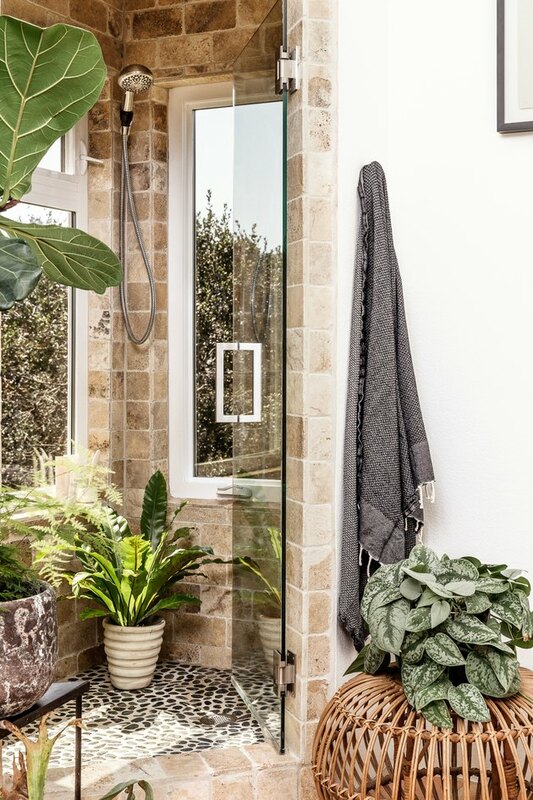 The master bath is filled with plants. In the kitchen, as well as the bathroom, Duncan refaced the existing white-washed cabinets with blackened steel covers. Duncan designed the round dining table herself.